BREMEN, Germany—Frank Magnitz, a member of the German Federal Parliament and a leader of Germany’s AfD Party has been brutally attacked on Monday, 7 January, 2019. Frank Magnitz was attacked with a piece of lumber. He was knocked unconscious, after which he was pummeled and kicked on the head repeatedly by the masked attackers. The intervention of two construction workers stopped the attackers. Mr. Magnitz was taken to the hospital with serious injuries. The AfD (Alternative für Deutschland i.e. Alternative for Germany) is a populist party. It is the third biggest party in the current German Federal Parliament, with 91 seats. 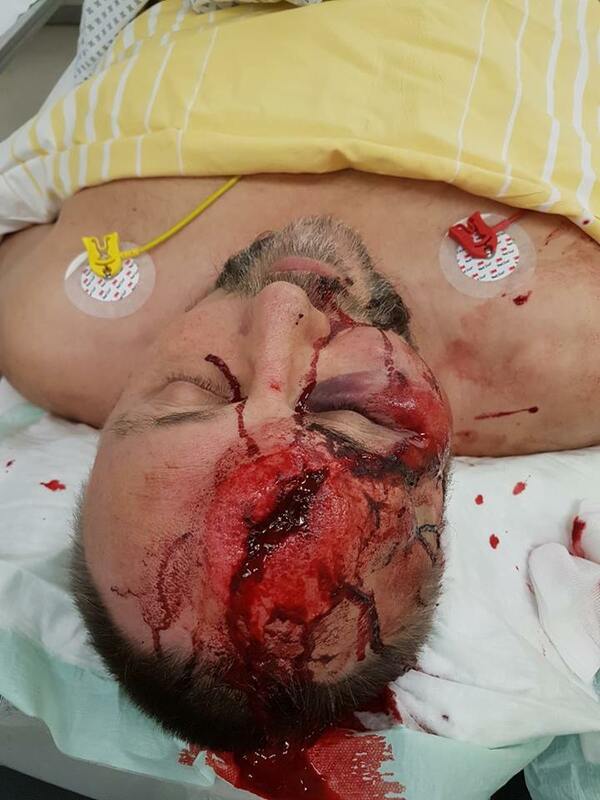 Our State chairman and Member of Parliament Frank Magnitz was attacked on Monday by three masked men. They lurked in front of the Theater am Goetheplatz when he left the New Year’s reception of the Weser courier in the Kunsthalle. They knocked him unconscious with a piece of timber and continued to kick his head when he was already on the ground. It is thanks to the courageous intervention of a construction worker that the attackers could not complete their project and that Frank Magnitz escaped with his life. He is now seriously injured in the hospital. The Bremen police and the state prosecutor of Bremen determine whether the act was politically motivated. We will closely monitor the reactions of politicians from other parties in the coming days. Not only the LEFT, but also the SPD and the Greens support the Antifa and its attacks. Is that what the other political forces want? Is that your understanding of democracy? Again and again, the AfD is the focus of left-wing attacks that are not condemned or even supported by the other parties. Today is a black day for democracy in Germany. The police are urgently looking for witnesses: who observed the incident in the area of ​​Goetheplatz? Who can give hints? Witnesses are requested to contact the Crime Duration Service on 0421 362-3888. Only a few days ago there has been a bomb attack on a bureau of the AfD in the city of Döbeln. Three men are suspects—but they are out of jail, as there is apparently not enough evidence to keep them there. There were a number of attacks on AfD facilities last year, too. In mid-December the AfD office in Borna was damaged. Unknown people threw a wall cover plate against the windowpane, according to the police. In September, the AfD office in Chemnitz and the office of AfD Member of Parliament Jens Maier in Dresden were the target of attacks: both offices were smeared with paint. After evaluating video material, the Bremen Police came to the conclusion that Mr. Magnitz was attacked and hit from the back by three masked persons, after which he fell on the ground. His injuries were caused by the fall. The Police couldn’t tell where the information about a lumber as weapon used and kicks on the head stemmed from—which the Police itself talked about originally. The victim himself says that he can’t remember what has happened, and the two construction workers who came to help him saw only the fleeing attackers, but no weapon. Although the German newspapers tend to keep news about attacks on the AfD short and they don’t go into details about motives of the attackers, it is pretty clear that these are very probably committed by far-left Antifa activists. In constant attacks on the AfD by the media and by politicians the AfD is routinely described as “far-right” and as “nazis” (or very near to them). This helps to create an atmosphere in which the brutal tactics of the Antifa are seen as not useful, but in which many aims of the Antifa—”fight against the Right”, “nazis out”, etc.—are shared by main stream media and leftist politicians.